Armada Gateway Plaza recognises community needs and contributes through local activities, fundraisers and valued offers. Armada Gateway Plaza celebrates cultural diversity through campaigns that acknowledge the colourful tapestry of the local community. The Centre Management office is located external to the centre near the West entrance. Armada Gateway Plaza is situated 4.5km from the Warrnambool CBD, on the corner of Raglan Parade & Gateway Road. The Warrnambool bus network provides transport to and from surrounding areas and the CBD with ease. Bus stops are located on Gateway Road. Bus timetables are available from the Centre Management office. Armada Gateway Plaza is serviced by local taxi companies. Taxis can collect customers from any centre entrance. RetPro is passionate and committed to working with all retailers in growing and developing exciting stores in our shopping centres. We always have opportunities to discuss — be they in fresh food, fashion, bulky goods, general merchandise, takeaway food or major stores. Please call Lauren or Richard to discuss how we might assist you in growing your retail business or assist in developing a new concept. Armada Gateway Plaza has a number of casual leasing sites available ranging in prices according to location and retail season. If you’re interested in finding out how leasing a casual mall retail space at Armada Gateway Plaza can provide you with valuable brand awareness or a lucrative place to sell your goods and/or services, please contact Centre Management on (03) 5561 3898. Armada Gateway Plaza offers a Parent’s Room to make your shopping experience easier. 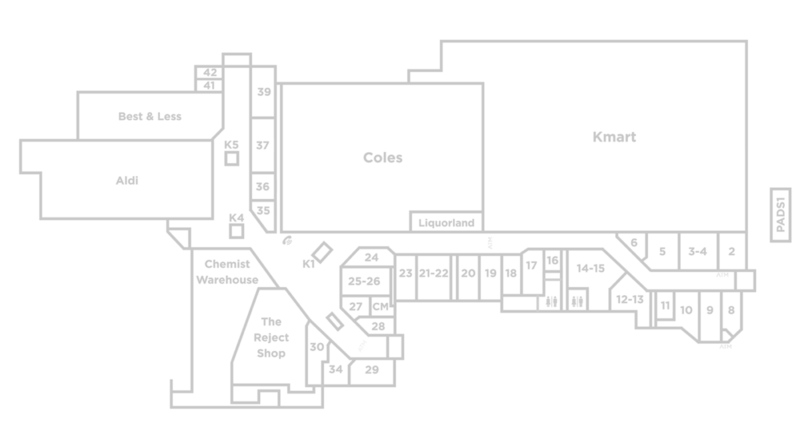 You’ll find it conveniently located in the amenities corridor opposite Kmart. Our Parent’s Room provides two private feeding cubicles, change table, nappy disposal and microwave. Wheelchairs are available from Centre Management for loan free of charge. All entries and exits into Armada Gateway Plaza have Disabled Parking Spaces allocated.